If you like to record music or other audio from your television you may find that your files are in MP2 format but it would be easier if they were in MP3. Many media players are compatible with MP3 but not MP2. MP2 is often described as a “lossy audio compression format” which means that the recorded sound has been compressed to fit into the audio file and in doing so has lost much of its original quality. MP3 is commonly hailed as much better, retaining a lot more of the quality of the original recording. However, annoyingly, audio broadcasting is still dominated by the MP2. There are a number of options available for converting MP2 to MP3. This article will list and evaluate the best methods and help you choose the best one for you. Filmora lets you record audios, edit audios as well as convert audios. With its simple and intuitive layouts, it is ideal for users without technical skills. With Wondershare Filmora, you can simply import your MP2 clips to the program, drag it to the timeline, and then click export as MP3. 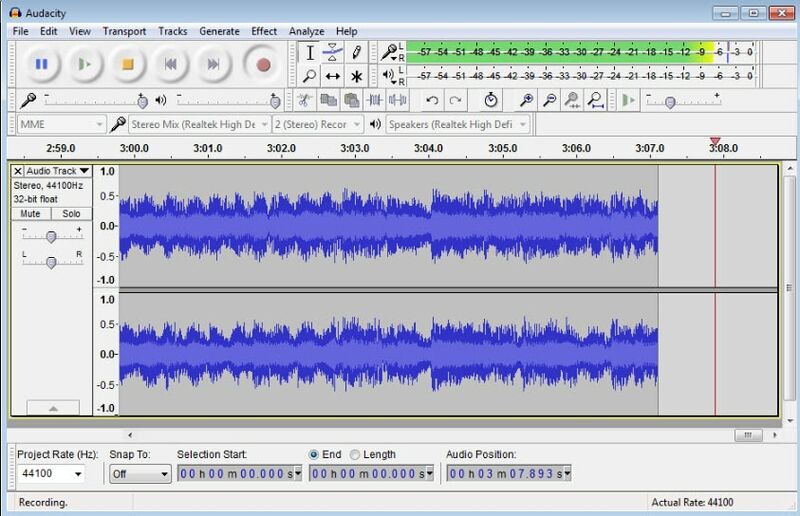 Converting audio files can be done in such easy three steps! What’s more, you can do much more editing work such as trimming off unwanted parts, combine different audio files together, change speed/pitch etc before export to save. You can download a free version below. You just need three steps to convert MP2 to MP3. Step 1: Import auido file, and then drag it into timeline. Step 2: If you want to edit audio, just double clikc on clip to get editing panel. Step 3: After editing is done, click Export. Then select MP3 under Foramt. Click Export at the bottom. Quite a mouthful, isn’t it? But FFMPEGGUI is a useful audio encoder tool which basically means you can convert all sorts of types of audio files into other types. It is free and compatible with Windows. It has its own simple media player. It can also convert video files. There are various places you can get this tool including Avanti. Audacity is a free multi-lingual audio editor with a number of useful functions. You can use it to record and you can use it to convert tapes or records into CDs or digital audio files. It is compatible with Windows, Mac OS X, GNU/Linux and other operating systems. It comes with special effects functions such as changing the pitch or speed of a recording. However, with the recent updates to the program, the install process can direct you to add-ons that may be harmful to your computer, so you need to be careful when you are downloading it. 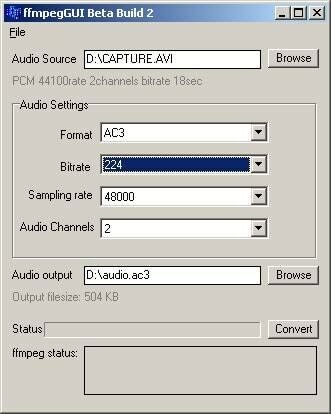 Steps to convert MP2 to MP3 with Audacity. Step 1: Downlaod Audacity. Click File to import audio. Step 2: Once it is ready, click File > Export Audio. Step 3: Rename the file, and choose MP3 to export. Media.io is an online audio converter. You can try it for free and it is compatible with Windows and Mac. You just put your MP2 straight into the Upload box, select your format – MP3 – click “Convert” and voila! You have your new file ready to go. It is rated as safe by Norton Safe Web (so no viruses!) and trustworthy by mywot.com. The website is laid out clearly and simply and the process is very easy. It is also available in many different languages. How to convert MP2 to MP3 with Media.io. Step 1: Open Media.io. Click Add your file to import audio. Step 2: Click Convert after it is finished importing. The default format is MP3. Winamp is one of the most well-known and reliable media players there are. However, it can also convert audio files. You can convert MP2 to Wav and then convert Wav to MP3. It is a bit of a long-winded way to go about it but with a source as reliable as Winamp you can’t go far wrong. The software is free. It works in Windows and on Macs. Winamp supports thousands of small, online radio stations via its Shoutcast system. There’s not much not to love about it. Steps to convert MP2 to MP3 with Winamp. Step 1: Downlaod Winamp first. Click File > Open to import MP2 audio. Step 2: Then click File > Preferences to change the encoding settings. Then choose Plug-ins/Output > Nullsoft Disk Writer > Configure > MP3. Step 3: Now click Play to check the converted MP3 audio. Wrap up: Which MP2 tp MP3 converting tool to choose? Ultimately, of course, you will need to choose the one that meets your needs. I hope this article has covered enough basics of what each converter does that will give you a good idea of which to use. A great place to find out more information about these converters is Video Help. Products are evaluated by users and you are able to ask questions here about anything you get stuck on and receive answers from other users.